Roberta Schneider | Performance Methods Inc.
Having worked in a variety of diverse and challenging business environments, Roberta’s clients describe her as being both “energetic” and “flexible,” two attributes that serve her well in working with PMI’s global base of industry-leading clients. Her training skills are superb and her abilities to facilitate successful workshops, strategy meetings and client sessions are strong in all three languages. Her areas of subject matter expertise include Value Selling, Strategic Account Management, Sales Coaching and Leadership, Communication and Presentation Techniques, Customer Service, Negotiations, Project Management, Retail Management and Retail Marketing, among others. Roberta has not only trained and consulted in these areas, but she has also translated these types of sales, marketing and customer service solutions for use by Spanish and Portuguese-speaking audiences. 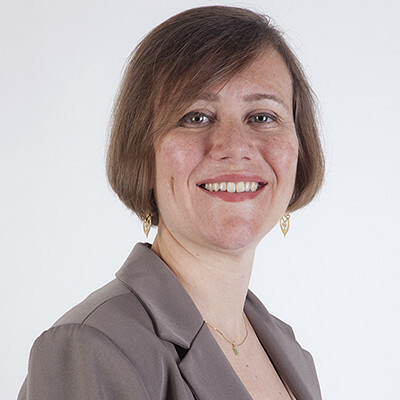 Roberta brings a mix of hard and soft-skills when communicating, collaborating, consulting, facilitating and training, and she demonstrates strong people skills and deploys modern teaching concepts. Her undergraduate degree is in children’s literacy and she attended UniFMU Law School with a specialty in trial by jury. Traveling to many countries has always been part of Roberta’s work and it has given her an appreciation for different types of businesses, cultures and learning styles around the globe. Her family lives in Sao Paulo, the largest city in Brazil.